In the Village of Bantagiri V | Irene Abdou Photography, LLC - Travel. Lifestyle. Documentary. NGOs, Development & Public Health. 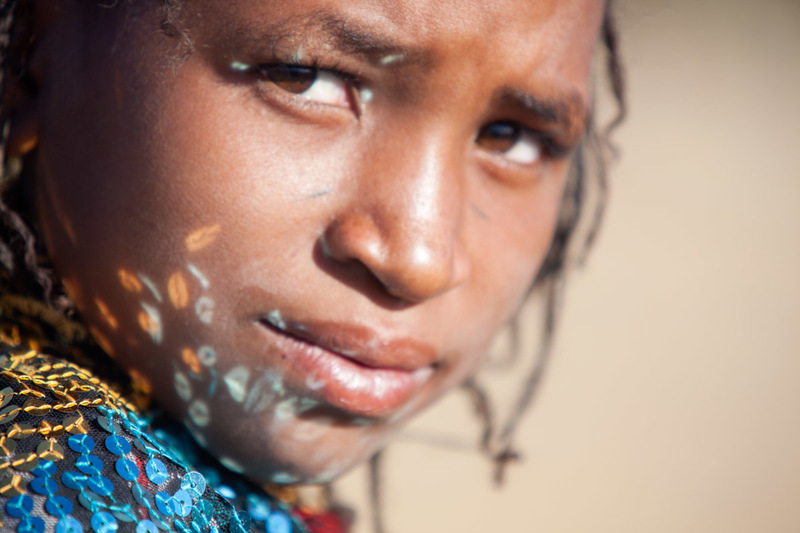 In the seasonal Fulani village of Bantagiri in northern Burkina Faso, reflections of light from the sequins of a young woman's shawl dance across her face. The Fulani are traditionally nomadic pastoralists, crisscrossing the Sahel season after season in search of fresh water and green pastures for their cattle and other livestock.